This is my new favorite cake...seriously, the best! I made it for my dad's birthday and I am thinking this will probably be what I make for this little guy's first birthday coming up so soon...I can't believe it. Note: The recipe calls for two 9-inch round cake pans but being I made this as a birthday cake and I of course needed to sample (every good baker does); I instead used two 7-inch round pans and a cupcake pan for 6. I gave him the 7-inch round cake and kept the 6 cupcakes for sampling purposes! Baked the 7-inch rounds for about 38 minutes and the cupcakes for about 18 minutes at 325 degrees. The quantity from the frosting recipe works perfect, either way (two 9-inch pans or two 7-inch with 6 cupcakes). Preheat oven to 325 degrees. Grease and line with parchment paper two 9-inch round cake pans. I love my egg separator! 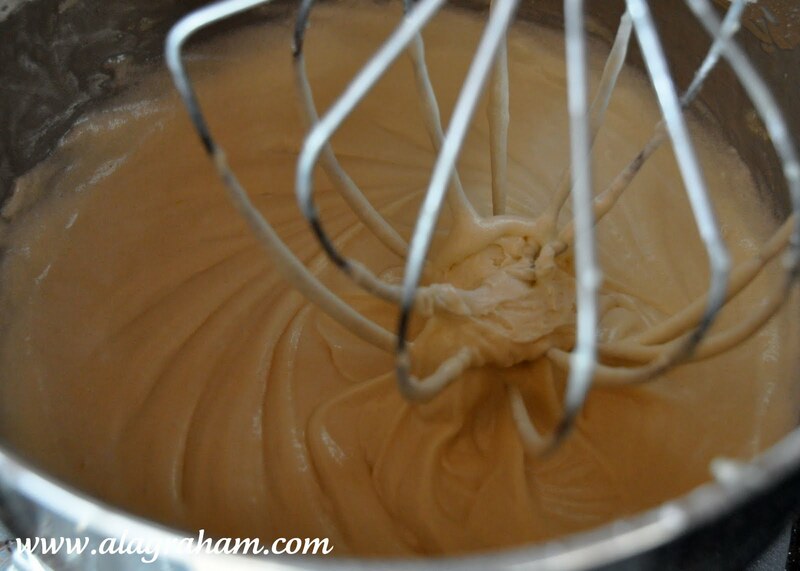 Whisk together cream of coconut, egg whites, whole egg, water and extracts. Set aside. In a standing mixer with a paddle attachment, slowly mix together flour, granulated sugar, baking powder and salt until combined. Increase the speed to medium and add the butter one piece at a time. Adding a new piece about every 3 seconds. 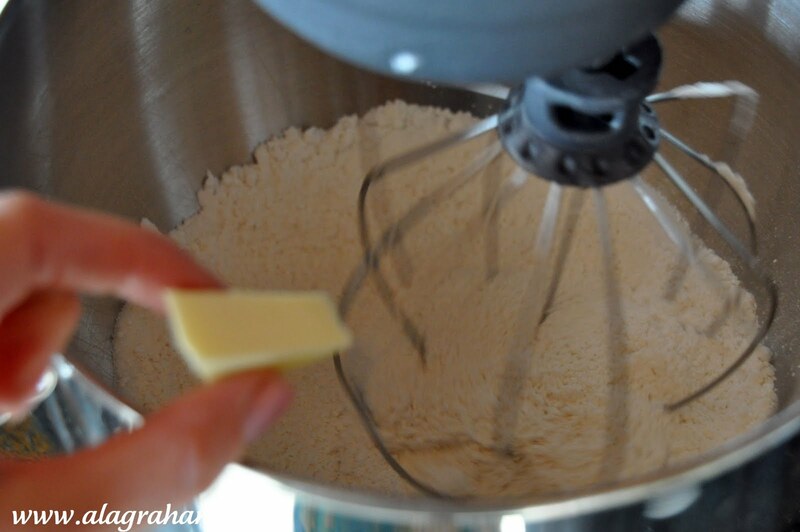 Keep mixing for a minute or two, until the mixture resembles a moist crumb. Add 1/2 cup of the wet (egg/coconut cream) mixture to the dry (flour/ butter) mixture and beat on medium speed for about 1 minute. Reduce speed to low and add the rest of the wet mixture to the dry mixture and beat just until combined and forms a nice batter. Pour the batter into the prepared pans and bake for about 30-35 minutes. Cool pans on wire rack for about 10 minutes. Run a knife around the edge to loosen cake. Invert on wire rack, peel of parchment paper and flip right side up. (At this point I usually stick the cakes in the freezer to cool them down because I am extremely impatient. 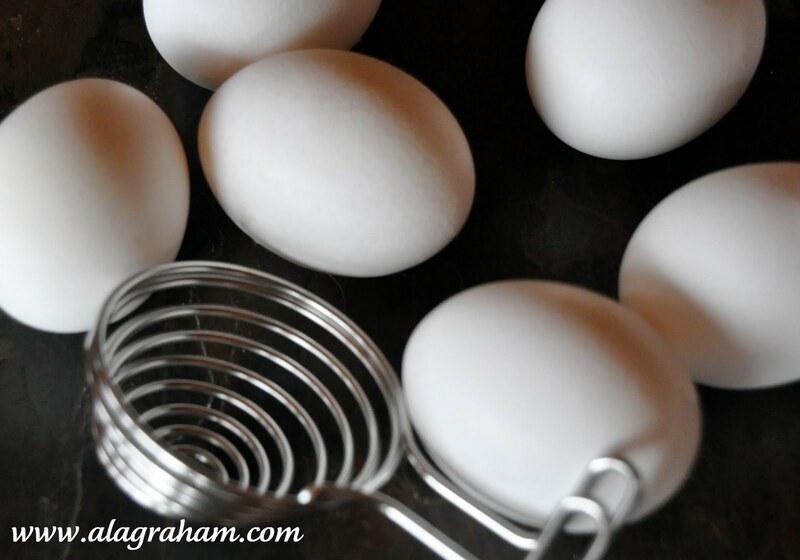 However, you can let them cool for about an hour on your counter top if you have patience. Obviously, you don't want to frost the cake when it is warm because the frosting will melt. Stir together the cream, extracts and salt in a small bowl. In a standing mixer with a whisk attachment, beat the butter and cream of coconut on medium-high for about 30 seconds. Reduce speed to low and slowly add the confectioner's sugar and continue beating until smooth. 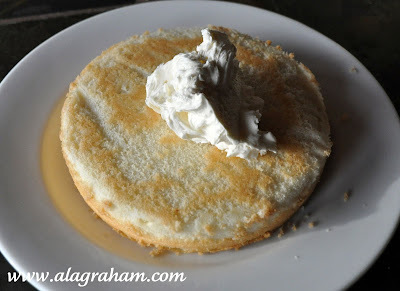 Add the cream/extracts/salt and beat medium-high until light and fluffy, about 4 minutes. 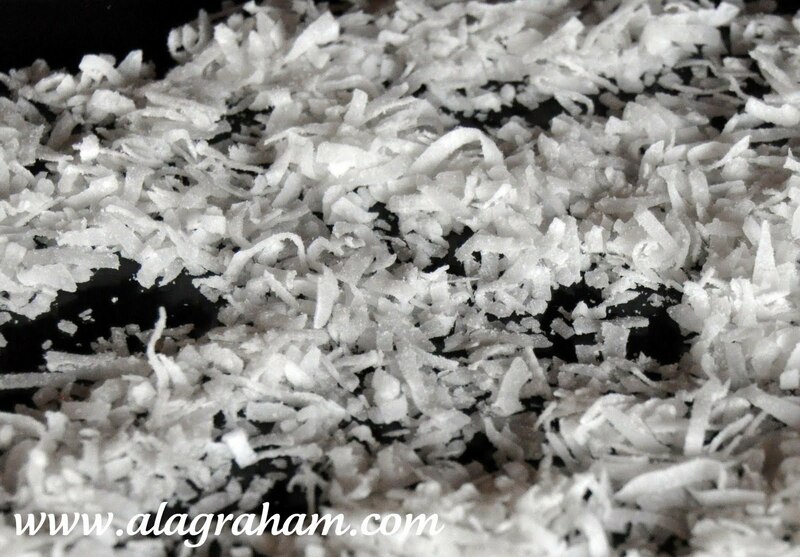 Set oven to 325 degrees and sprinkle the coconut flakes onto a baking sheet, in a single layer. Toast, stirring and checking frequently for about 6-10 minutes. It can burn really easy so keep an eye on it. Take it out right when it starts to turn golden brown. Set one cake on a cake plate. You can line the edges of a plate with waxed paper strips to keep from getting frosting on the cake if you want, or just be careful not to get frosting to close to the bottom of the cake. Spread about 1 cup of frosting on the first layer, right up to the edges of the cake. Set the other cake layer on top and frost with the remaining frosting all over the top and sides. Sprinkle toasted coconut on the top and press it on the sides of the cake and if you are lucky enough to have cupcakes too sprinkle a little toasted coconut on top. Coconut is not often used in Itlian cakes. Wow, the cream of coconut must have made this even more decadent than the average coconut cake. I would love to give this one a try. What a great birthday cake! Your daughter and son are adorable! I bet the cream of coconut adds a wonderful flavor to this cake. It looks wonderful. Happy Birthday to your Dad. Elena, you won't be sorry...if you love coconut. 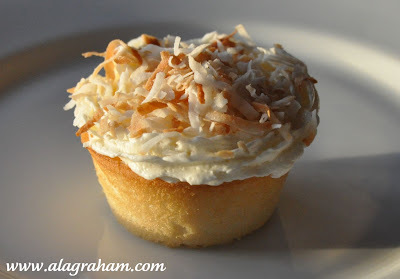 Bridgett, There is intense coconut flavor in every bite (the cake, frosting and the toasted coconut)! I have to try this! Coconut cake is my favorite. It looks the best! I've never added cream of coconut and will be hunting it down! Thanks! Cute daughter! 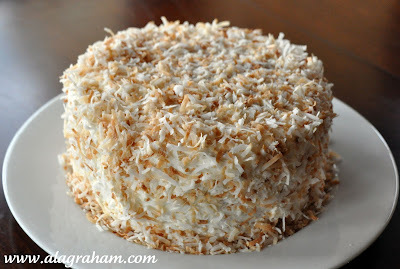 Coconut cake is one of my favorites too. Your looks amazing and decadent! Pam, I love anything coconut and was happy to find the cream of coconut! Bonus I have a little left over for pina coladas! Tina T, I love Debby over at FFTE! Thanks, hopefully you will find a lot of recipes you like. Hi Tonya - You have a lovely blog and I love your coconut cake recipe. You're very generous with your pictures - it's a gorgeous spread! Btw, I hope your dad had a great Birthday! Just finished making the coconut cake for our Mother's Day lunch tomorrow. It looks great and I can't wait to try it!!! I have a feeling it's going to be a hit. Thanks for the recipe. I bookmarked this recipe a month ago, and am waiting for the right moment to make it. I need LOTS of guests, because I'd eat the whole thing. I saw this on ATK's show. I'm glad to know it's as good as it looks. I want some! I just saw the episode on Create tv and am glad to have found your blog with the recipe, thanks! You can find individual cans of cream of coconut at any Asian grocery store, if you happen to have one in your city. 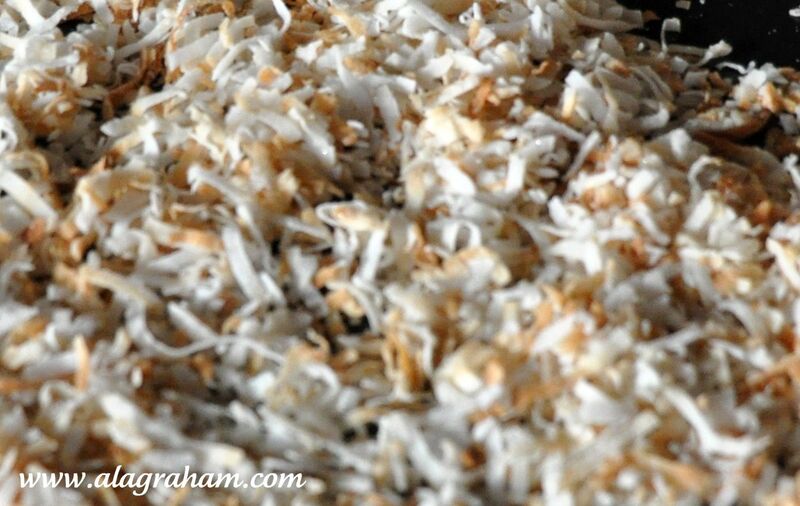 Hope you love your cake...the toasted coconut really makes it taste great. Tonya, I'm dying here!!! 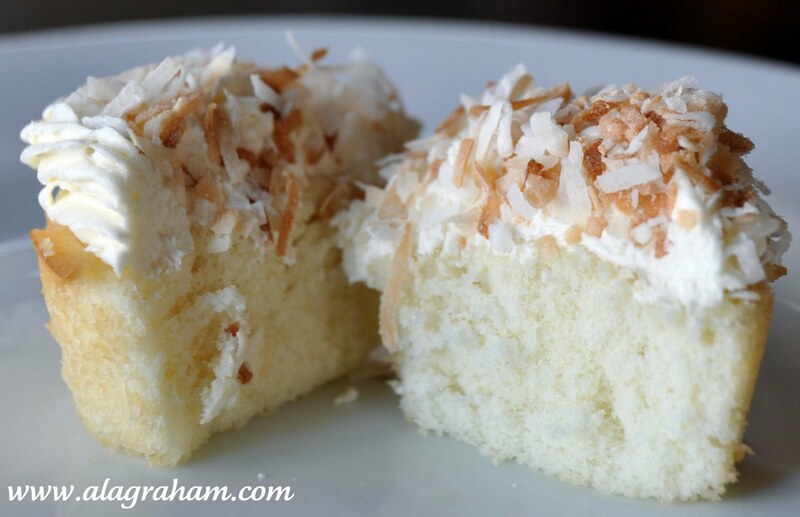 I would love a piece of your coconut cake right now. 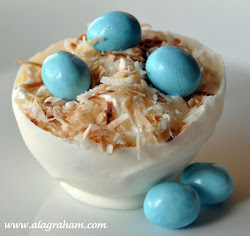 I just love coconut, it's one of my favourite ingredients and I was actually going to choose coconut for this month's culinary smackdown but I know a lot of people don't like it. I could eat that entire cake myself, lol! I'm going to print out the recipe, I have to make this soon. Thank you for sharing, you made my day! I made this cake Saturday night from America's Test Kitchen recipe (practically the same as yours - the frosting is slightly different) and although it was quite good, it came out a little too dense for me. I will have to tweak it a bit next time to make it a little more light. Not quite sure what I will do yet. It also takes exactly three hours to make from start to finish, including baking time. Truly one of the best cake I have ever made! This is one recipe I will be making over and over again. Thank you very much for sharing the recipe! THIS CAKE IS DELISH. 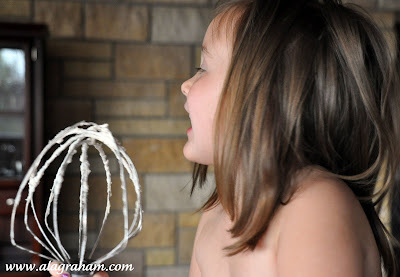 we cut DOWN the sugar by 1/4 cup, sifted and used regular flour and 1/4 cup almond flour.... IT WAS SO GOOD. we served it with fresh strawberries and blueberries and vanilla and coffee ice cream... :) thumbs up all around!! Thanks for the recipe! I made this cake for my Mom's birthday, who had seen it made on America's Test Kitchen. It was surprisingly easy and amazingly delicious! I'm listening to ATK's podcast, and they were talking about this coconut cake so I had to google it ASAP. Thanks for posting all the wonderful pictures of it, I LOVE the idea of making cupcakes out of it. I can't wait to make it! Has anyone tried using Pure Coconut Cream (found in Frozen aisles of Asian Market)? It has no additives or sugar, and is fluffy white creamy substance, versuse the Coco Lopez that is pasty grey pink with a ton of sugar syrup. This is a beautiful cake I cannot wait to try it! 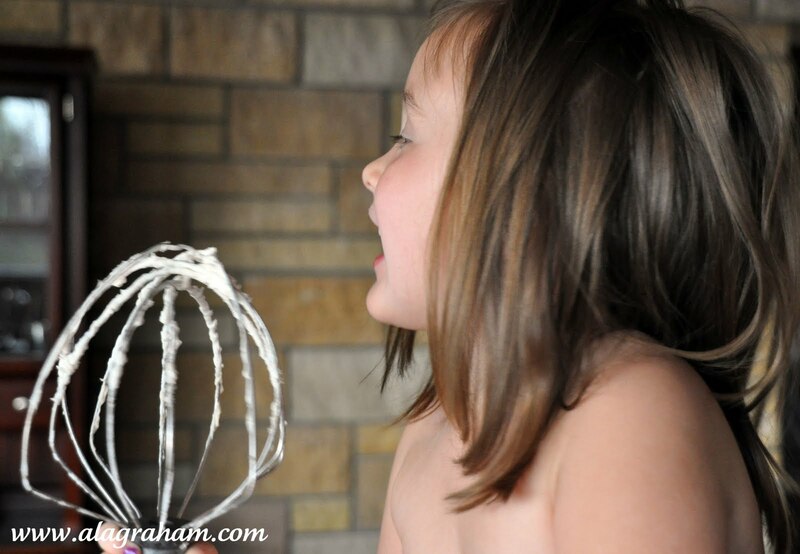 I love the recipe but I feel the method is not right (especially for those with hand mixers versus stand mixers). I had better success creaming sugar and butter; adding whole egg; folding in dry ingredients; adding wet ingredients; and whipping egg whites to fold in at the last.